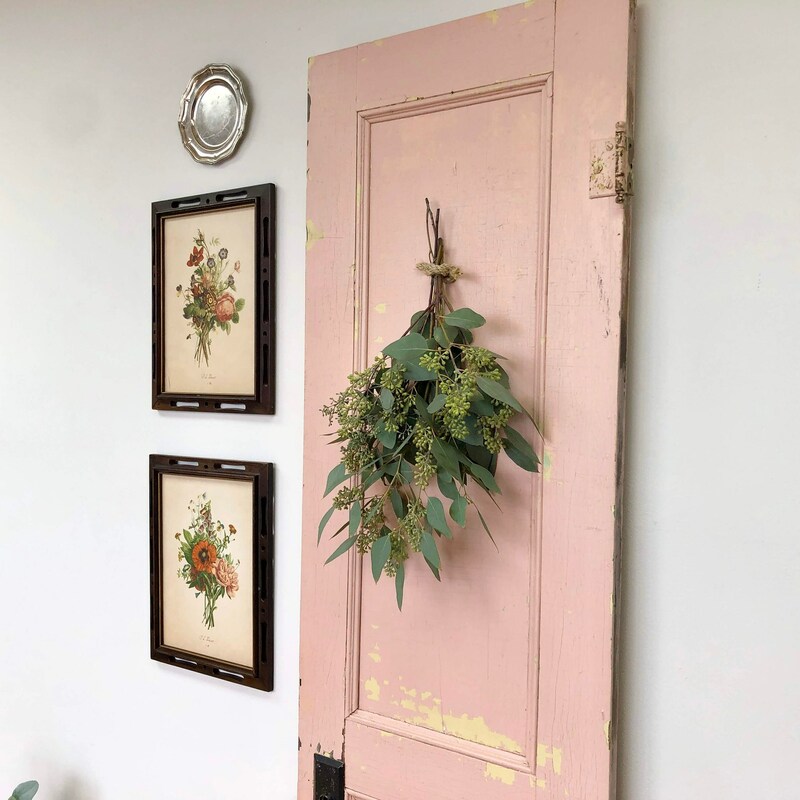 This antique wooden door with its rustic patina will enhance your farmhouse style interior or front porch. 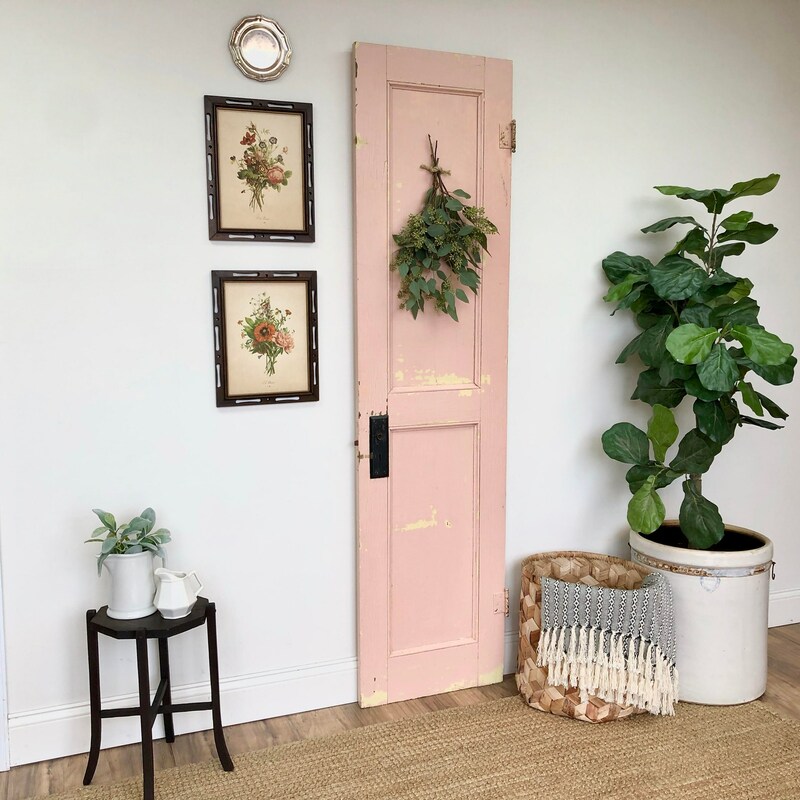 Bringing interest and conversation to any space. 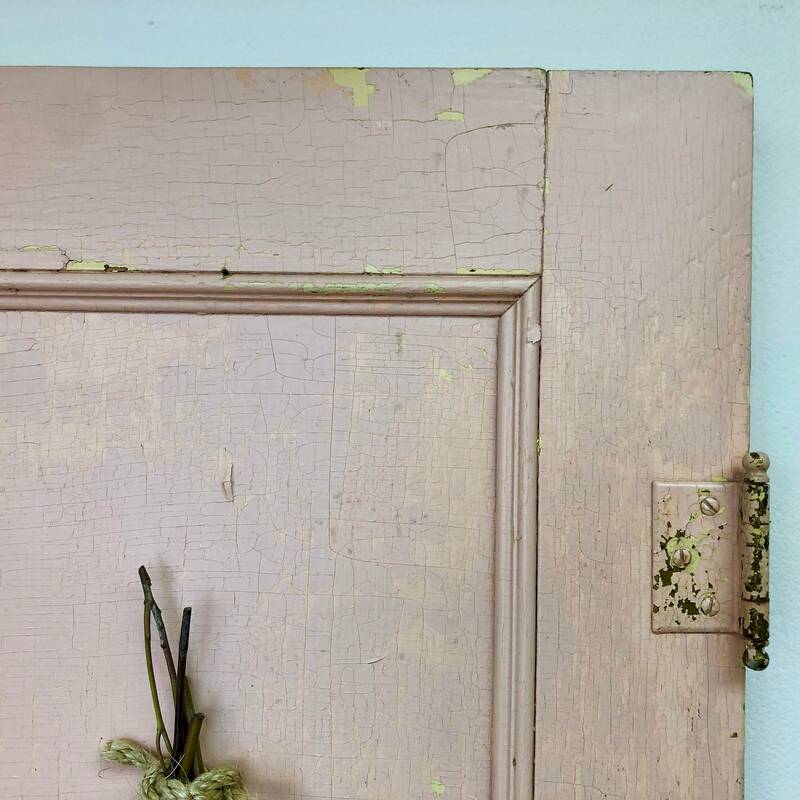 Use it as dimensional wall decor, a photo prop at a rustic outdoor (or indoor) wedding and much more. 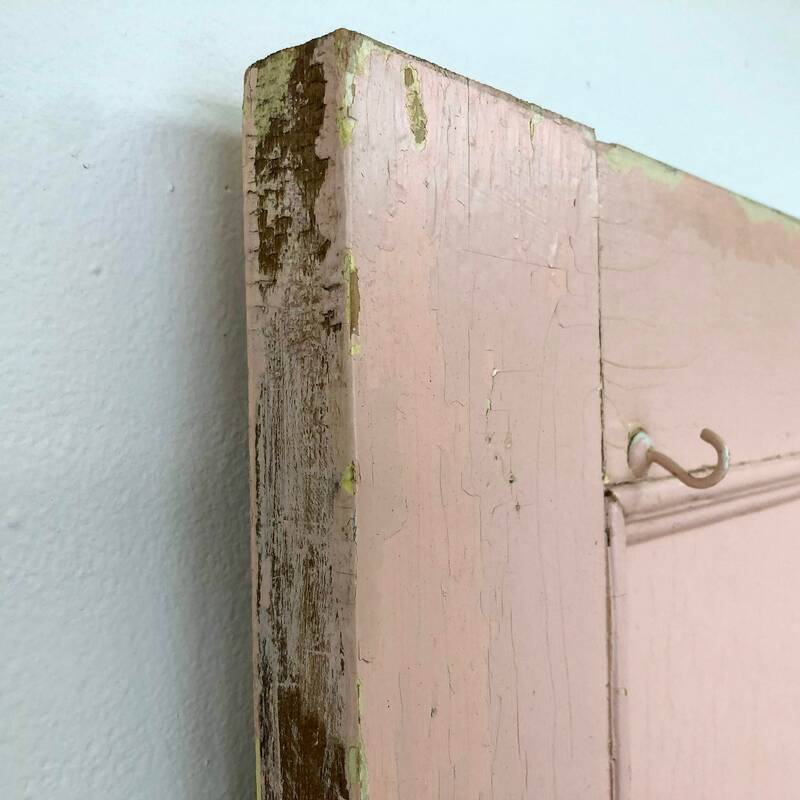 The old pink and yellow, weathered paint patina brings a unique country look. 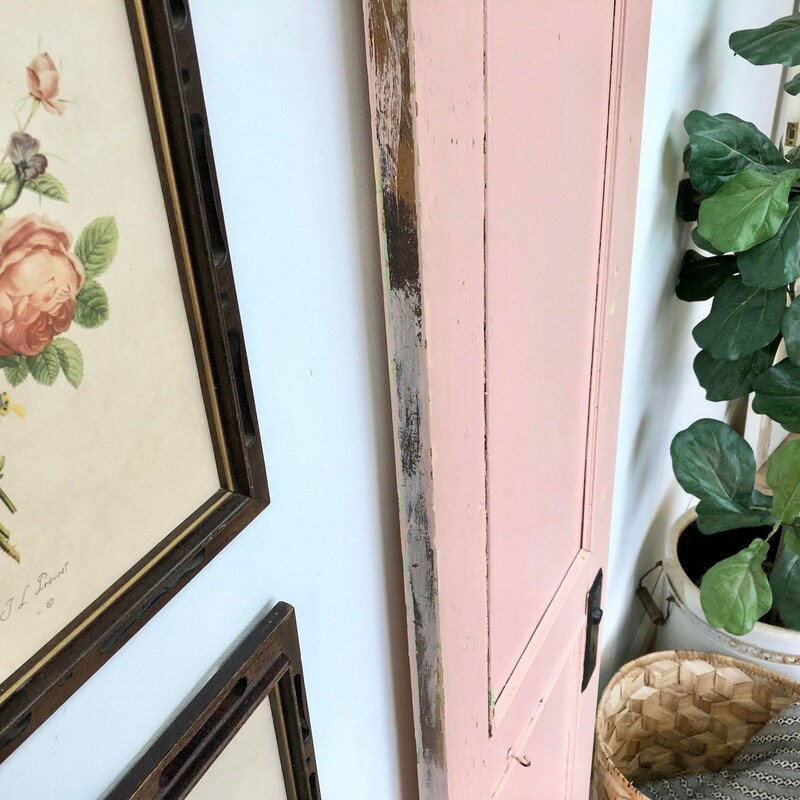 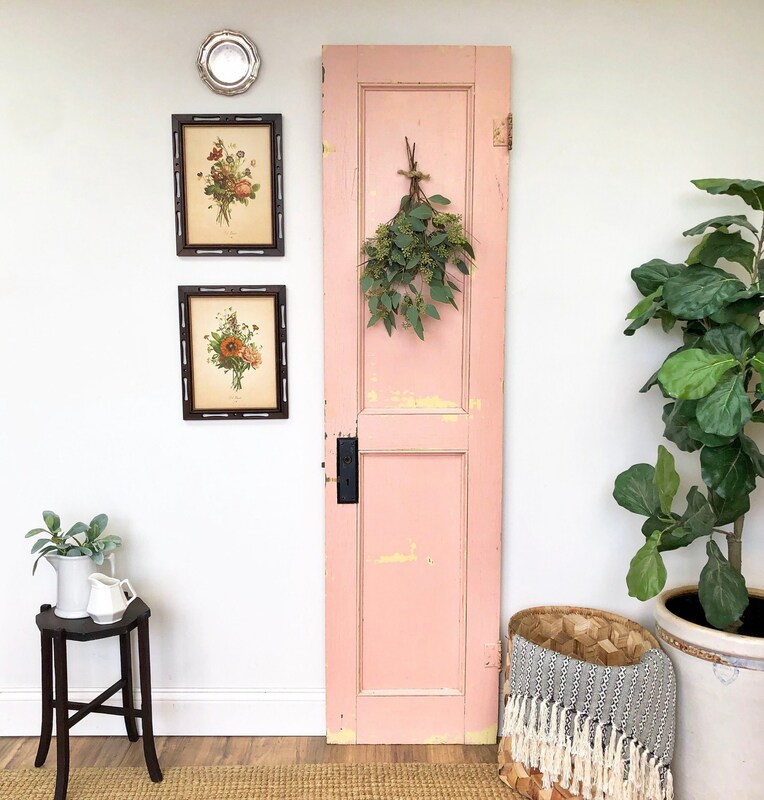 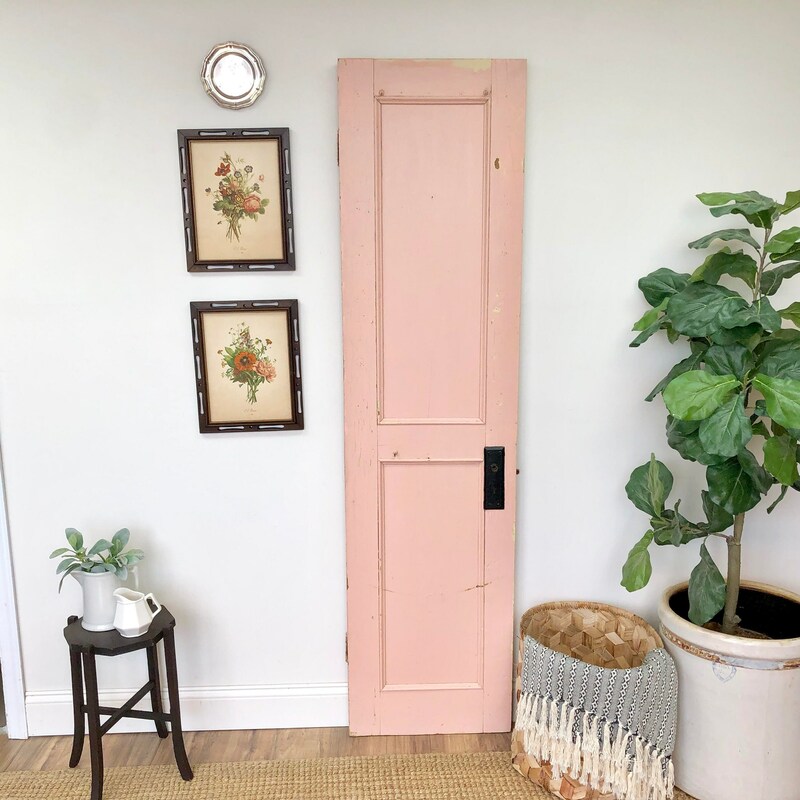 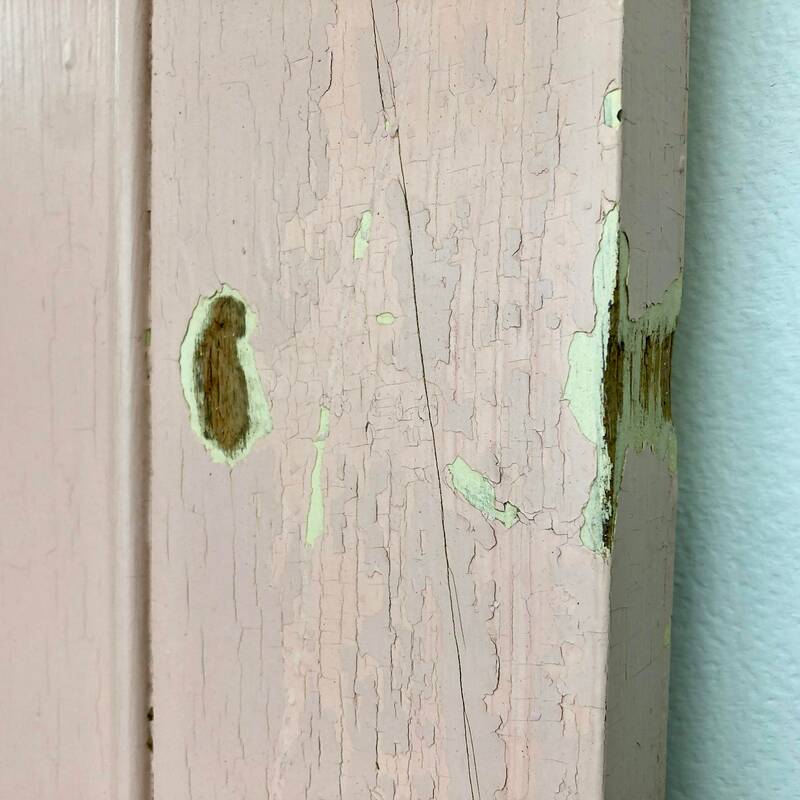 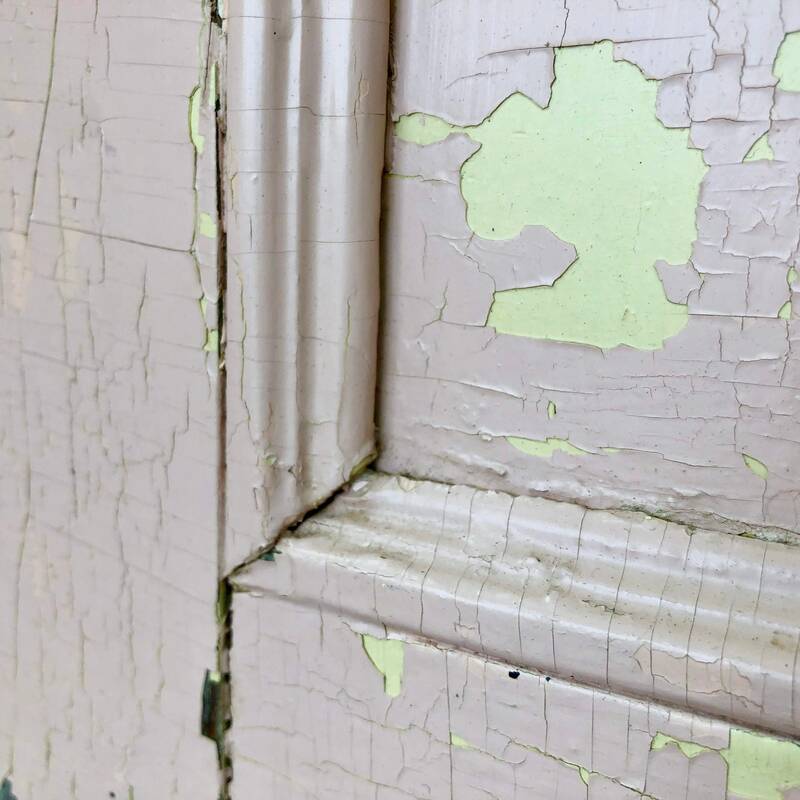 This salvaged door is in a rustic condition that is consistent with its age, with chipping and cracking in the layers of the old pink and yellow paint finish. 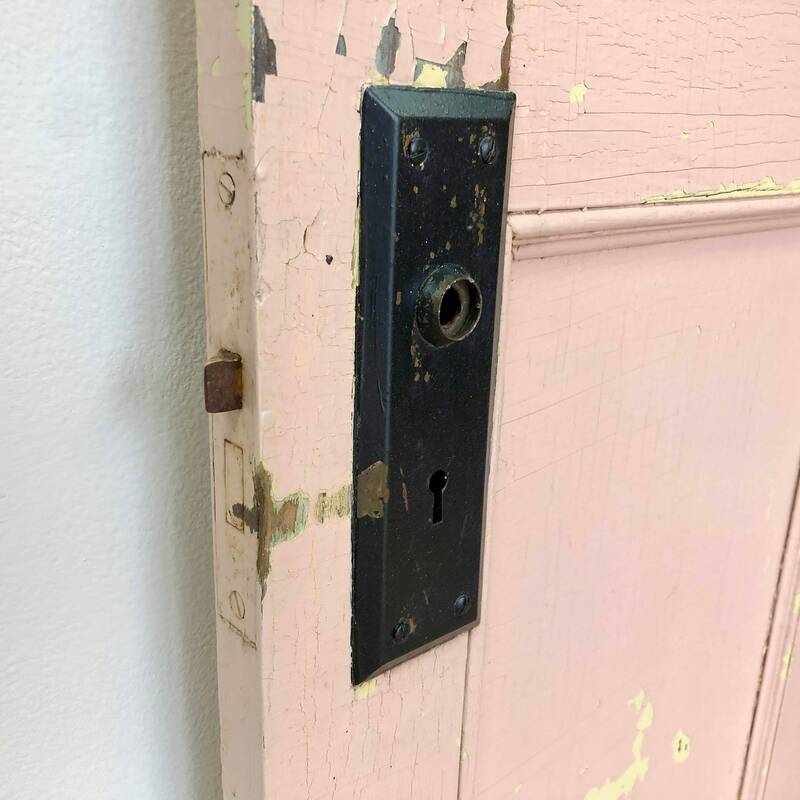 We are offering it in "as found" condition.